The UK Forex Awards has once again recognised UFX for its cutting-edge technology by awarding UFX MassInsights™ Technology with the Best Forex Trading Tools award. The MassInsights™ live stream gives Traders a snapshot into what other Traders are doing, with real-time alerts and market event notifications as they happen. For the 4th year in a row, The European is recognising UFX Managing Director Dennis de Jong for his outstanding leadership and commitment to excellence in Financial Services innovation. With a focus on continued technological development, Mr. de Jong leads UFX’s focus on providing traders with an ongoing and transparent trading experience. For the 5th year running, UFX has received recognition as a leader in the Online Trading industry. The company combines its core values of enhancing the client trading experience through technology with superior Customer Support. 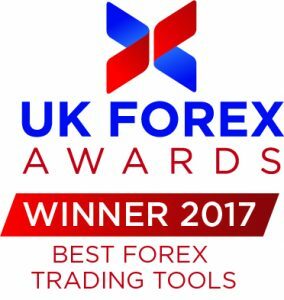 The UK Forex Awards also recognised UFX’s recent technological advancements by awarding UFX MassInsights™ Technology with its Best Forex Trading Tools award. MassInsights™ Technology offers an innovative, comprehensive, and transparent trading experience, providing traders with the most advanced tool in the industry. For the third year in a row, the European continues to recognise UFX Managing Director, Dennis de Jong, for his outstanding leadership and continuous commitment to financial innovation, providing traders with the most reliable and transparent trading experience. For the fourth year running, UFX remains a recognised industry leader. UFX continues to provide traders with only the best trading experience possible, and stands behind its commitment to customer success and satisfaction. 2016 proved to be a milestone year for UFX. In addition to our innovative MassInsights™ Technology, we also released our loyalty programme, UFX Rewards. By offering real Cashback on all our tradable assets, UFX Rewards makes sure every UFX Trader gets the very most out of their trading experience. Our efforts in trading innovation have been a pillar of UFX’s success since the beginning. This year we took it a step further, releasing our biggest update yet with a highly informative and transparent trading platform and our in-house developed MassInsights™ Technology. For the third consecutive year, UFX remains as a recognised leader in the online trading industry. UFX continues to provide traders with the best trading experience possible, and stands behind its commitment to customer success and satisfaction. For the second consecutive year, UFX Managing Director Dennis de Jong has been recognised for his outstanding leadership and continuous commitment to innovation, providing traders with the most reliable and transparent trading experience possible. UFX continues to be recognised for its commitment to its traders. By offering a comprehensive suite of services, educational content, and advanced trading tools, along with competitive spreads and low minimum deposits, UFX proves to be the best value for online traders around the world. UFX was recognised for its commitment to providing each of its clients worldwide with the highest quality online trading experience. Traders of all levels enjoy 24-hour support and a free customised training program that exemplifies UFX’s commitment to customer satisfaction and success. UFX’s unparalleled innovation introduced the revolutionary 6-day trading week to the online trading industry and demonstrates its outstanding leadership of online brokers worldwide. UFX is recognised as the Best Broker for its second consecutive year for providing traders with the highest quality online trading experience possible, and for its commitment to customer success and satisfaction. UFX provides unparalleled service across Western Europe and the UK, offers around-the-clock support, competitive trading conditions, and a huge variety of assets. UFX’s platform is designed to provide a professional trading experience that is both accessible to new Traders and suited to the needs of advanced Traders. UFX offers 24-hour support for all traders, regardless of account type. Customised trading plans set UFX apart and reinforce a Trader-centric philosophy. Traders at UFX receive all the tools and support they need to become successful, and enjoy an overall trading experience of the highest quality. UFX was recognised as the Best Broker of the Year at Qatar’s largest Forex and E-Trading expo, demonstrating the company’s commitment to providing the best trading experience to Traders worldwide. UFX adheres to strict regulatory practices, and goes that extra mile to keep Traders informed about their funds and accounts. UFX’s interest-free account for observant Muslims offers all the benefits of a standard account. UFX strives to make easy, safe and profitable Forex trading available to all of its Traders. UFX partners with website owners looking to increase traffic and revenue by promoting the regulated online broker. UFX affiliates have a choice of commission structures and access to a database of powerful marketing tools. Founded in 2007, UFX was recognised for the personal attention, outstanding support and comprehensive trading services it offers throughout the European Union. UFX’s award-winning ParagonEx platform features a Trader-friendly design that is both intuitive and easy to use, earning it rave reviews from customers and industry professionals. UFX strives to be accessible to all Traders by providing a wide range of account types and offering special promotions on its most popular accounts.